- We recommend having this checked by your Audi partner as the fitting of the LED entry lights varies depending on model and equipment fitted. Practical. Increased brightness for entry. Exclusive. 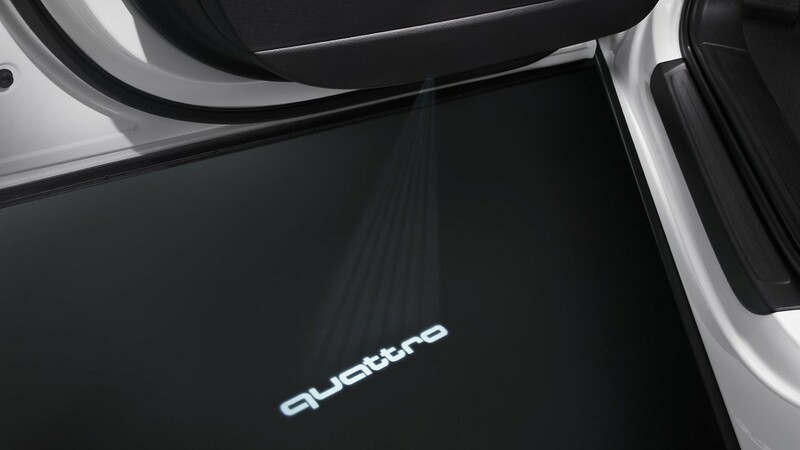 Projection of the quattro logo onto the ground.